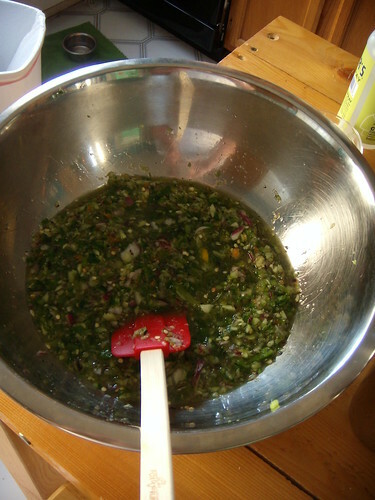 spicy cucmber relish, originally uploaded by aarn! +10th March, 2008+. i made a ginger infused simple syrup and added it to fresh chopped red onion, lemon w/ rind, habaneros, jalepenos, chilis, and fire roasted poblano peppers.